Hope this finds you well. I am pleased to inform that the Population Association of Sri Lanka recently awarded me the Gold Medal for the “outstanding scholarly contribution to the field of Demography and Population Studies” I attach the note introducing me to the audience at the ceremony. Please share this with Eric Motha and other old Bens in Canada. All members and their spouses are invited to attend the 23rd AGM and join in Fellowship thereafter. The formal notice ,Annual report and Audited Financial Statement of Accounts will be mailed in compliance with the rules of our Constitution. We look forward to a good turnout as in previous years to reminisce of our student days at St.Benedict’s College. Fr.Roy in Calgary-Please offer the Sunday Mass on June 23rd for the intentions of our OBA-thank you. Subject: Death of Claudius’s elders son at Qatar. St. Benedict’s College, the oldest Catholic school in Colombo, has experienced administrative decay on and off during the past half century, but it now faces a dire crisis. The Catholic hierarchy in Sri Lanka, which is fully aware of the school’s rot, must step in and revive the College, or let this venerable institution be destroyed. The appellation St. Benedict’s stems from the Sylvestro-Benedictine monks, who in 1865 named the school after their patron. But the origins of St. Benedict’s extend to 1839 when the Roman Catholic Seminary was set up at Wolfendhal Street. This genesis makes the school the second oldest in Sri Lanka (and only four years behind Royal College, which in turn began as the Hill Street Academy and was not christened with its present name until 1881— 16 years after St. Benedict’s began to be so called). Thus St. Benedict’s celebrated its official sesquicentennial in 2015, when it was actually 176 years old! The Lasallian Brothers took over the College in 1868 and this year marks the sesquicentennial of their administration. While scores of foreign and local Brothers have performed yeoman and heroic service on behalf of the school during the past 150 years, it is in the interest of St. Benedict’s and the Catholic Church that their superintendence extends no further. This is partly because there is no one within the dwindling Lasallian order with the credentials to run a Grade 1 school, and mainly because leading Brothers have discredited themselves by undermining the school with their shenanigans and blatant disregard for what is in their students’ best interest. A personal note is in order here, lest readers think this is an unwarranted attack on the Brothers. My family (granduncles, father, uncles, cousins, and nephews) and I are not just products of St. Benedict’s; we have also unfailingly supported the Lasallian Brothers. Indeed, when, in 2005, I edited ‘Benedictine Memoirs,’ a volume that documents the College and life experience of 140 Old Bens, I dedicated it to the Lasallian Brothers. But by the time I wrote an essay about the future of St. Benedict’s for the school’s Sesquicentennial Souvenir, I had reached the conclusion that my College was in dire need of a different set of administrators and suggested discreetly that the Catholic priests were the most viable and best alternative. It was not easy for me to say that in the essay, but the truth needs to be told and the truth is that the Brothers’ continued administration of the College will only exacerbate the decay facing St. Benedict’s. Indeed, many Old Bens believe the College is now run less in the interest of its students and mainly to enable those controlling its affairs (and their families) to live in clover. This is why nearly every lay member of the St. Benedict’s College Old Boys’ Union Council of Management, the apex body of the College, requested that the school be turned over to the Catholic Fathers. And it is why some 80% of alumni who attended the first ever Special General Meeting of the Old Boys’ Union membership in August voted to do so as well. 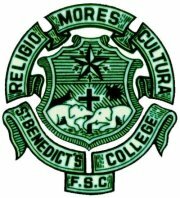 What has taken place under recent administrators of St. Benedict’s borders on the criminal: educational standards have been weakened so that the College now has the least impressive GCE (O/L),GCE (A/L) and Grade 5 scholarship results among leading Catholic schools; sports programs (especially athletics) that were among the best in the island have been deliberately crippled; a boarding that used to host close to 150 students has been gutted, so that it now houses just five students; a Management Advisory Board instituted by concerned old boys to implement reforms has gone nowhere, thanks to its Chairman, the Provincial Visitor of the Lasallian Brothers, being unresponsive; and over 30 classrooms that Old Bens spent millions building during the past decade have been left disused. These are classrooms that could be educating 1,000 students, almost equivalent to an entire school; instead they lie dilapidated thanks to a dim-witted, indifferent, and apathetic administration. Just as bad is the Brothers’ mute and craven response to the Welfare Society, whose leaders control over Rs. 200 million and operate devoid of transparency, accountability, and in thuggish and boorish fashion. Old Bens believe that those who control the Welfare Society’s affairs in cahoots with the present director are in it for the money; and if reports concerning the misuse of money are true, future audits are bound to lead to criminal charges. Loyal Old Bens who have tried to deal with the Welfare Society’s intimidation, threats, and crass behaviour—recently displayed to the hilt before a committee put together by the Archbishop of Colombo to look into the maladministration at St. Benedict’s—have hitherto reacted with commendable restraint; but their patience is running thin. This is all the more reason for the Catholic hierarchy to deal with the crisis at St. Benedict’s expeditiously and radically. These same Brothers who have more or less run the school to the ground now beg to be given two years to set things right. This is like applying sticking plaster to cover a gaping and bleeding wound; because fixing the decay at St. Benedict’s will take more than two years and demands capabilities the current crop of Brothers lack. If my academic background has taught me anything, it is that institutions take a long time to be built up but are easily wrecked. And St. Benedict’s under the current leadership especially is on the verge of being totally wrecked. Consequently, what it needs is radical surgery in the form of a permanent solution. And that solution is turning over the school to the Catholic Fathers. Numerous are the Old Bens who have served non-Lasallian schools as principals. These include Very Rev. Fr. Peter Pillai, the first Rector of St. Joseph’s College and Founder Rector of Aquinas University; Very Rev. Fr. D.J. Nicholas Perera, first Rector of St. Peter’s College; Very Rev. Fr. Mervyn Weerakkody, Rector at both St. Peter’s and St. Joseph’s; Rev. Fr. Felician Perera and Rev. Fr .Trevor Martin, Rectors at St. Peter’s; Rev Bro Paul Nizier, the great Marist Principal and Provincial; Rev. Fr. Paul Caspersz SJ, Rector at St. Aloysius College, Galle; and Rev. J. A. Selvaratnam, Warden of S. Thomas’ College, Mount Lavinia. And in that tradition, many are the Old Ben priests with excellent credentials in today’s Church who are well suited to lead St. Benedict’s. Additionally, numerous Old Bens are benefactors of the Catholic Church in Sri Lanka, and the school also has about a dozen alumni associations abroad that have consistently contributed funds towards developing the College. These individuals and entities are eager to work towards reviving St. Benedict’s but will only do so if they have confidence in administrators. Based on the letters they submitted for the Special Annual General Meeting noted above, it is patently obvious that they lack confidence in the Lasallian Brothers continuing to run the school. Thus, the Brothers’ continued superintendence of St. Benedict’s is untenable, and it is in everyone’s interest for them to depart the scene nobly and amicably. There is much that needs to be done to revive St. Benedict’s College, and this includes getting rid of the miscreants in support bodies who are undermining the school, rewriting the constitutions of these support bodies so that grasping individuals with ulterior motives would never again control the affairs of the College, and transforming the current apathetic College culture to a dynamic and thriving culture befitting its history and legacy. We Benedictines can only achieve all this if we persuade the Catholic hierarchy to take over the school. Otherwise, Colombo’s oldest Catholic educational institution will wallow in mediocrity and, ultimately, be destroyed. The following was by Felix Dias. The grand event to honour, felicitate and reward the outstanding performers in sports and related co-curricular activities in the year 2017, was held in the newly refurbished College Hall on Saturday, 3rd November 2018, in the presence of a large number of clergy, parents and old boys. It was a glittering occasion, conducted with precision, lights, glamour with Benedictine finesse, with all arrangements made by the teachers, together with the students, who were able to showcase their inherent talent and capabilities. The Chief Guest for the occasion was Rev. Bro. 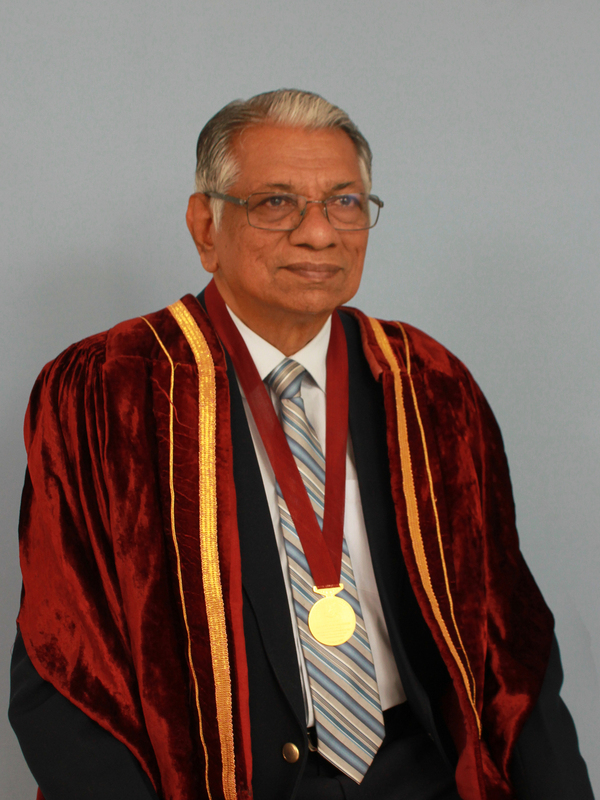 Granville Perera, former Director of SBC, during whose tenure (2003 – 2012), SBC had a period of glory and success in academics, sports and also mega infrastructure development, notably the Reengineering of the College playground and construction of the Swimming Pool, which was a long felt need of Benedictines then. The event included Merit Awards, Colours, Star Awards, Appreciation Awards, Special Awards, culminating with the coveted ‘Benedictine Spirit Award’ and the award for the most outstanding sports captain for the year 2017. Awards were presented for Cadetting, Scouting, Swimming, Chess, Tennis, Hockey, Basketball, Football, Gymnastics, Karate, Rugby, Cricket and Athletics. The awards presentations were interspersed ‘Oscars” style with entertainment items which included Music vocal and instrumental, Dancing, Gymnastics display, Karate video clips etc., the highlight being the magnificent Kandyan Dancing spectacle performed by the College Oriental Dancing Troupe, with 3 generations of dancing teachers dancing from the same family also joining in. It drew loud applause from the entire audience. There were 217 awards presented with the most important ones being made towards the end. Whilst all names are printed in the Souvenir, in this description only the names of the most outstanding performers are given below as they deserve special recognition. Sahiru Yashodya Silva	–	represented Sri Lanka at the Junior Asian Gymnastics Championship 2017 in Thailand. Srian Weerasinghe	–	represented Sri Lanka and won Bronze Medal at the 4th Asia Pacific Karate – Kubudo Championship, Japan. Kevin Ranidu Silva	–	represented Sri Lanka at the Commonwealth Chess Championship, India and at the Asian Youth Chess Championship, Uzbekistan. Santhush Weerasinghe	–	represented Sri Lanka at the Youth Asian Games, Thailand and placed 4th in 200 meter event. Thiran Ravishka Indrajith	–	represented Sri Lanka at the Youth Asian Games, Thailand and placed 4th in 400-meter event. Kemira Hirun Jayanath	– represented SBC at the Junior National Gymnastics Championship, and became All Round Champion, winning the Vault, Table and Floor exercises. Amash Bopitiya	–	member of SBC Athletics squad, which won the All Island Relay Championships in 2016 and 2017. Won Silver medal in 4 x 50m relay – under 12. Supun Nimansha	–	member of SBC Athletics Squad which won All Island Relay Championships 2016 & 2017, and Runners up at the All Island Schools Championships 2016 & 2017, and Senior John Tarbet Championships 2016 & 2017.
member of the SBC Athletics Squad, which won the Championships 2016 & 2017, at the Colombo Zonal and Western Province meets. won several individual medals in 400 meters and broke 16 records at All Island meets from Under 15 onwards, as a member of the SBC squad. Qualified for IAAF Junior Championships in 2015, and participated at the Athletics Workshop 2015 in Malaysia. Deshaka Seneviratne	–	represented Sri Lanka at the Malaysia Invitational Age Group Championship. All Island Schools Gold Medalist in 50m & 100m freestyle and 4 x 100m freestyle relay. He is presently attached to the Supershark Academy, the No.1 Swimming School in Malaysia, undergoing training in the latest advanced techniques under Malaysian Olympian Marlin Chua. His goal is to represent Sri Lanka at the 2020 Olympiad. He is the best swimmer produced by SBC after the College Swimming Pool was constructed in 2010. Star Athlete Thiran Ravishka Indrajith, who as a key member of the Sri Lanka Junior 4 x 200m relay team, won Gold at the Asian Juniors and placed 8th at the World Juniors, won this coveted award for the 2nd time in succession. His grit and determination to succeed even when faced with injury and health issues, and adverse conditions makes him a worthy winner of this award, which is meant to motivate Benedictine Sportsmen to strive their best for the school and country. SBC Athletic Captain 2016 & 2017, Shiran Angelo Jeganathan, won this prestigious award again for the 2nd time, for his exemplary leadership qualities in getting the best out of his fellow athletes, which won many laurels for the SBC Athletic team in 2016 & 2017. Shiran is presently in Singapore persuing his higher studies. Benedictine Athletes were at last given their due recognition, at the Benedictine Colours Night on Saturday, and what was done to SBC Athletics from end 2017 onwards was indeed shameful. Rev. Bro. Granville Perera in his address, congratulated all the award winners and encouraged them to work hard in the future. He paid a glowing tribute to all old boys who wholeheartedly encouraged and supported him to improve the standard of sports at St. Benedict’s College. Head Prefect 2017 Ravintha Perera, made it an occasion to praise the ex-sports co-ordinator and Moderator of the Board of Prefects, who worked selflessly, tirelessly and loyally for the College and the students, for his yeoman services to St. Benedict’s College. The new Sports Co-ordinator young Bro. Dilshan in his message also gave his heartfelt thanks to Rev. Bro. Pravin Vaz for his dedicated and exemplary services to the College and stated that he hopes to cross paths with him again in his future journey. Head Prefect Shimal Benedict did the Benedictines proud as the Master of Ceremonies. Rev. Bro. Dilshan, energetic Master in Charge of Athletics Old Ben Nuwan Abeywickrema, the College ICT Head Old Ben Prasanna Silva, the Masters in Charge of all games deserve commendation and gratitude of the entire Benedictine Family for a job well done. The young Benedictine dramatists came up with an exhilarating performance on the Bishop’s College stage on Saturday, 29th September 2018, to be adjudged by a high level panel of judges headed by the well known educationist and teacher of English language and literature Ms. Jill Mcdonald, as the first runners up in the hotly contested and most prestigious English Drama Competition, the All Island Inter School Shakespeare Deama Competition organised annually by the Rotarians and the YMCA. 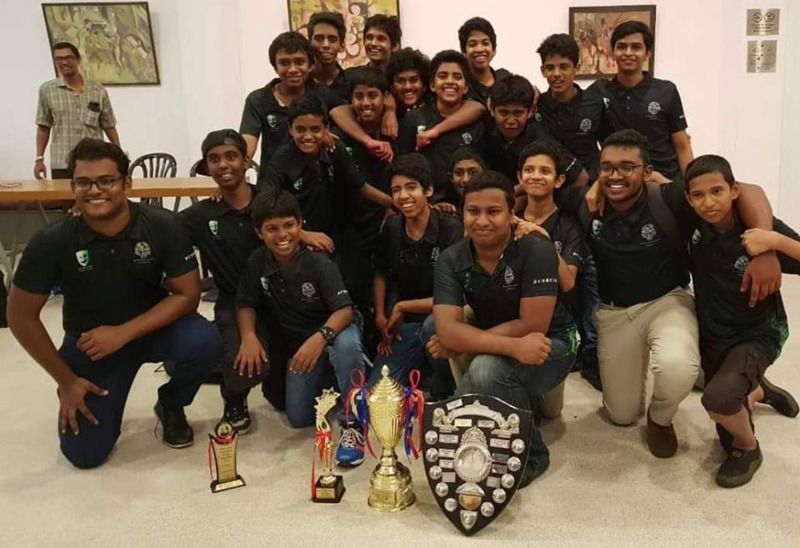 The entire competition with dramatists from all leading schools in Colombo and other mail towns, doing their utmost to bring honour and glory to their respective Alma Maters. The Benedictines were awarded the E.C.B. Wijayesinghe Memorial Trophy donated by family members of probably Sri Lanka’s Best Thespian of all time, Mr. E.C.B. Wijayesinghe well known for his roles in ‘Well Mudaliar’, ‘He came from Jaffna’ etc. Mr. Wijayesinghe is also a distinguished alumni of St. Benedict’s College, the School he loved dearly. Master Dimithri Jayawardana, who played the title role in Henry VI, was selected as the Best Actor of the entire competition, much to the delight and joy to his fellow dramatists, the coach, master in charge and all Benedictines and others in the audience. Dimithri is the son of Rumal Jayawardana, the 1994 cricket captain of SBC. Dimithri’s younger brother Denith acting as Henry VI’s son, brought tears to the audience with his heartrending performance. SBC Head Prefect Shemal Benedict played the role of Queen Margaret brilliantly and was also the stage co-ordinator. The entire cast of 22 boys and 10 support staff played their roles to perfection, earning much admiration from the audience. It was an incredible achievement by the young Benedictines, who worked hard and tirelessly for months without even the basis facility of a stage to practice. Benedictines are privileged to have the one and only Jerome De Silva, probably Sri Lanka’s best drama coach training them. All this would have been impossible, if not for the dedication, commitment, love for his charges and his totally loyalty to SBC. Mr. Titus Withanage, who revived English Drama at SBC in the mid 2000’s and brought SBC at least on three previous occasions within the first three in this prestigious competition. The boys were actively supported backstage and in the audience by the College Prefects, Choristers, Past Dramatists, Parents and enthusiastic Old Benedictines. it was a quiet a heartwarming sight to see all young Benedictines enjoying this happy moment, hugging and kissing each other and shouting for joy, showing how important it is to encourage and support young children to actively engage in team activities, which bonds them into lasting friendships and loyalty towards each other and the school that gave them these opportunities. It was heard, the master in charge Mr. Withanage telling the boys, that he is the happiest teacher at SBC today, for making it possible to bring so much joy and happiness to the children and glory to the school. Well Done Mr. Withanage. We are sure you are an inspiration to your colleagues in the staff and hopelessly they will lift themselves up and emulate you in the days and years to come. It is with deep sadness that I inform members of the death of Aubrey Blake this morning (Sept 19) after battling a serious illness over several weeks. Aubrey , son of late Kingsley & Esme Blake and brother of Christine Modder, was the founder Treasurer of our OBA in 1995 and his father a Vice President. Aubrey was self effacing and displayed total commitment as a loyal Old Ben “doing the duty that is do” never seeking kudos . We will miss dear Aubrey beyond what words could aptly describe as he has left a void that will be hard to fill. A further email will be sent on receipt of news relating to viewing and Aubrey’s final journey. Please remember him and his family in your prayers at this difficult time.